So there’s this girl, she’s cute and you’d really like to ask her out. Problem is, you got no prowess when it comes to persuasion, no skills at being smooth. What to do? 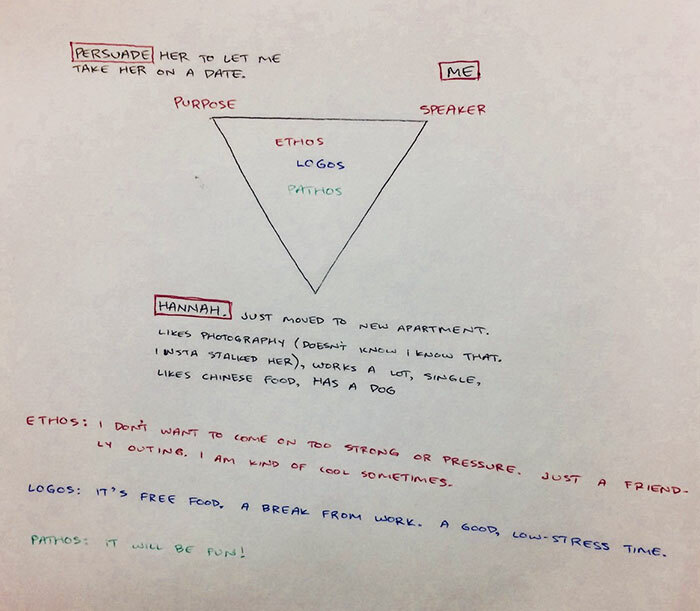 Why enlist the expertise of your English Professor of course! Sometimes, tried and trusted academic theories of rhetoric are the only way forward. 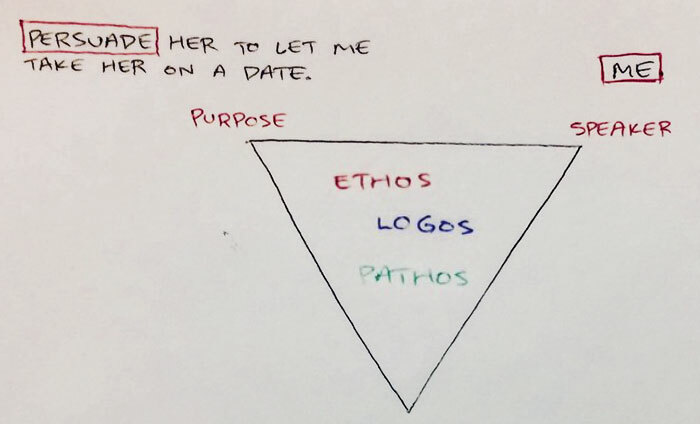 When Twitter user Jake went to his professor for help drafting a text to his crush, he received a comprehensive plan based around the three core modes of persuasion used in speech: Ethos, Pathos and Logos. 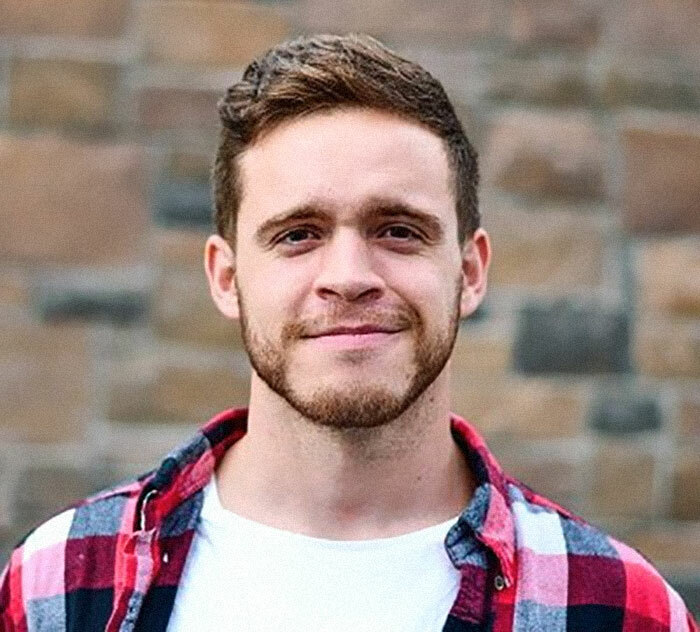 Ethos is the means of establishing credibility or character of the speaker, Jake is just a friendly empathetic guy who legit just wants to help out, yeah? 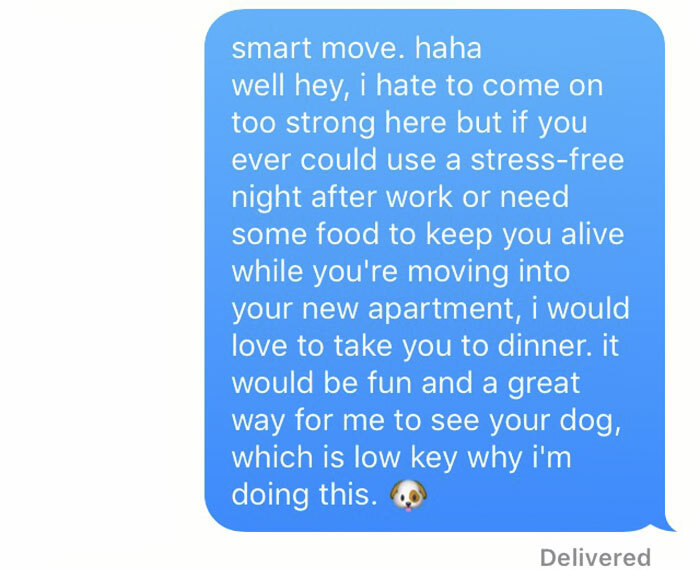 Pathos is an appeal to the emotions of the audience, cleverly including the dog in his date proposal was a genius example of this. Finally Logos, the logic of the situation implies that during a busy moving period, the offer of a hassle free and nourishing meal at no personal expense just makes sense, dammit. 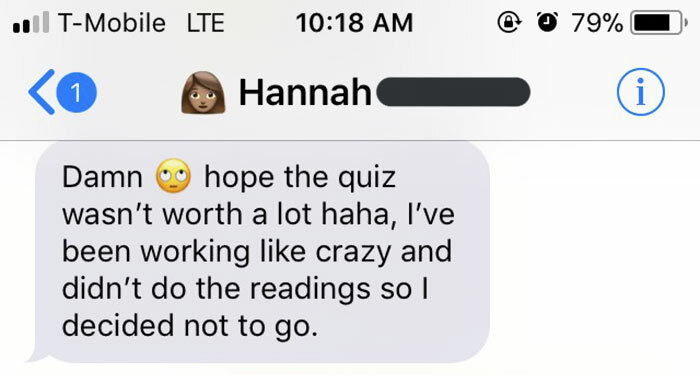 Putting it all together, Jake pulls off the date proposal with a masterpiece of persuasive texting, aided and abetted by his helpful English professor, using classical theories that have worked since the times of Aristotle. Who said professors are boring? This could signal a new dawn in theory based dating. Scroll down below to see how Jake did it, maybe you’d like to try it out yourself!